student mobility – absolutely intercultural! Welcome to this special episode dedicated to the 30th Anniversary of the European Erasmus Program. In today’s episode we are going to hear from three participants of the program sharing their experiences and stories about how they decided to leave their comfort zones and made a bold move to internationalise themselves. 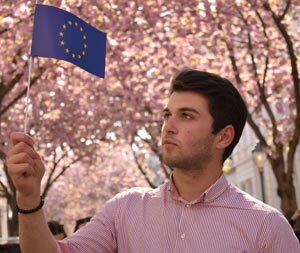 Listen to the the stories of two international Erasmus Exchange students from Azerbaijan and Georgia, and a guest lecturer from Canada.